This event is absolutely magical, and it’s free. More than 100 artists and organizations are involved. 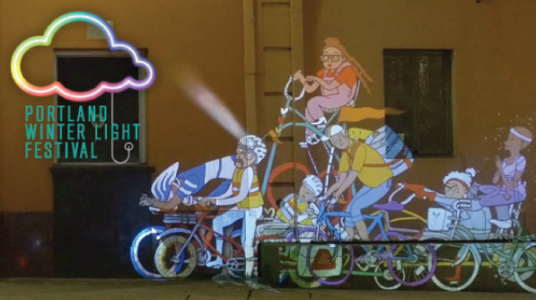 The Filmed by Bike film festival is hosting a bike-themed installation along North Williams at Tillamook where their animated characters will dance in the bike lane. On Friday, join in on the Illumiated Bike Ride, a three-mile group ride with wild lights and sound systems.